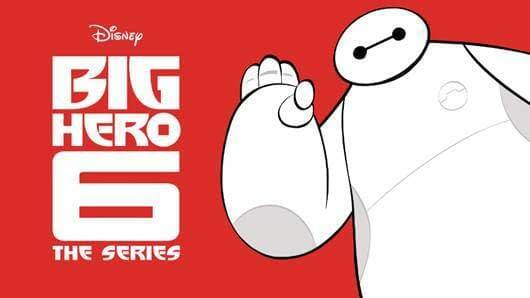 There has been talk of Big Hero 6 The Series coming to Disney Channel for quite some time. Loosely based on the Marvel Comic, the Disney animated feature did well in the theaters, and a small-screen adaptation started. In November of last year there was an hour-long Baymax Returns adventure, but we didn’t have any word on the actual series… until now. Season 1 will kick off on the Disney Channel starting June 9th with two episodes premiering back-to-back at 9 a.m. and then a second two episodes being shown at 9 a.m. on Sunday, June 10th… making it a four-episode/two-hour premiere weekend. Big Hero 6 The Series tells the story of 14-year-old boy genius Hiro (Ryan Potter), who attempts a balancing act with his academic/teen responsibilities and his superheroics. The Big Hero 6 squad also includes Baymax, Go Go (Jamie Chung), Wasabi (Khary Payton), Honey Lemon (Genesis Rodriguez), and Fred (Brooks Wheelan). Also in the cast are Maya Rudolph as Aunt Cass, Alan Tudyk as Alistair Krei, David Shaughnessy as Heathcliff, and Stan Lee as Fred’s dad. There will also be an episode that will feature the voices of celebrity chefs Gordon Ramsey and Alton Brown… playing a chef and a cooking show host respectively. Season 2 of the series has already been greenlighted.